Trailblazer Wire Survival / Pocket Saw | BUDK.com - Knives & Swords At The Lowest Prices! 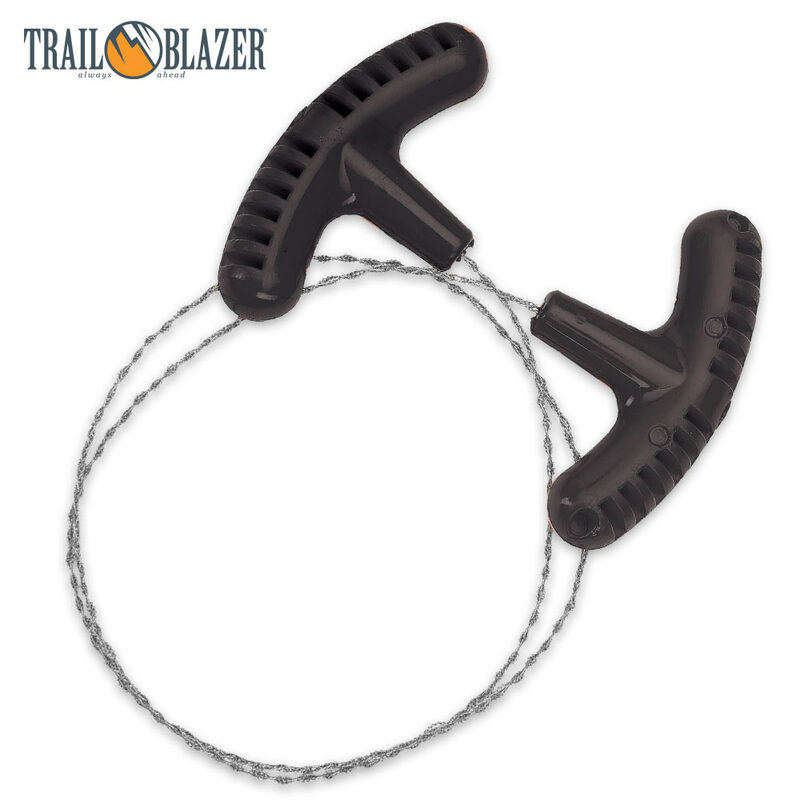 Trailblazer's Wire Survival Saw packs serious sawing power in an incredibly compact, lightweight package! Made of tough stainless steel wire with an impressive 105-lb breaking strain, this handy pocket saw cleaves through wood, metal, bone, ice, plastic and other dense, demanding materials quickly, easily and neatly. 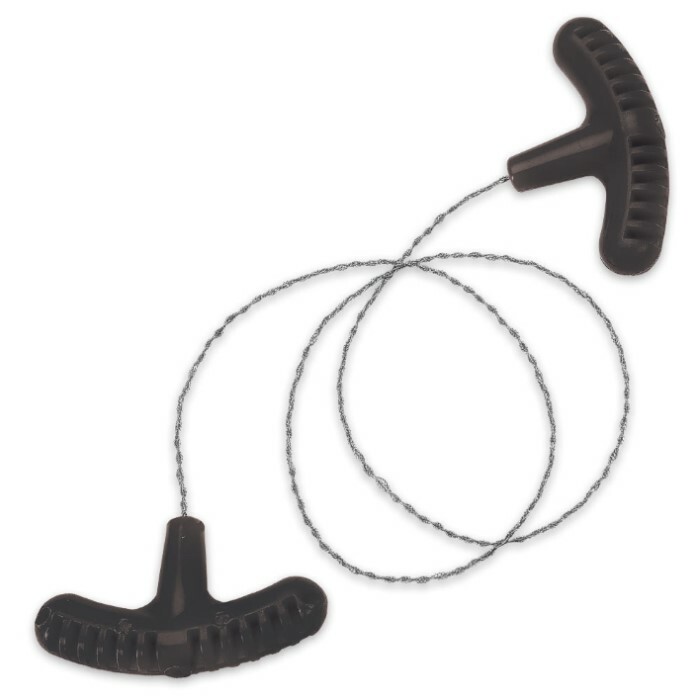 When coiled, it barely takes up 4 square inches, making it perfect for wilderness adventures, survival and emergency prep, or any scenario where space is limited and weight comes at a premium. It's also great for cutting limbs and debris around the home or farm, eliminating the need to haul around bulky, heavy and generally unwieldy chainsaws and tree saws. Rugged, contoured polymer handles provide a comfortable, ergonomic grip, reducing strain and fatigue while sawing. Never be without convenient, easy-to-wield sawing power again, and get Trailblazer Wire Saws for your backpack, bug-out bag, emergency cache, vehicle, garage and tool shed. Thankfully, it's painless to get as many as you want at this incredible price!